Medical imaging has come a long way from its inception at the turn of the century when Madame Curie, along with her husband, discovered the element radium—most commonly used in a wide variety of x-rays. This technology revolutionized modern medicine as we know it and has paved the way for medical innovation in the field of medical imaging. In medicine, we’re used to hearing about the medical breakthroughs like artificial pancreas for diabetics, communicating through thought in patients with ALS, and implants for people who suffer from sleep apnea, but never the new technology that’s being developed in medical imaging! 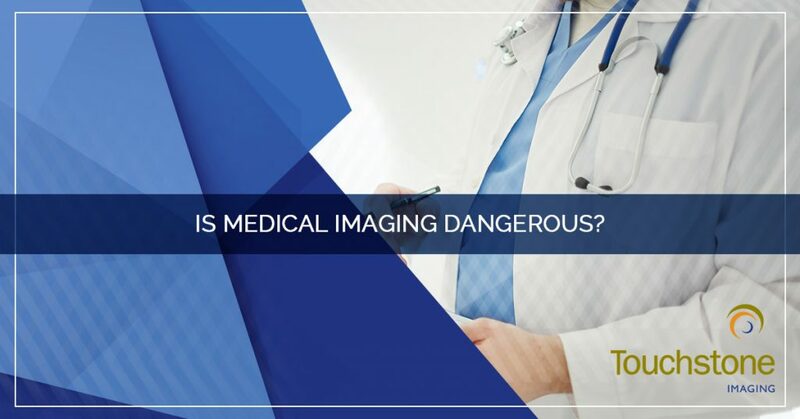 Medical imaging is imperative to modern medicine because of its ability to detect tumors, blockages, babies, bone fracture and bone density, and so many other diagnostic feats! 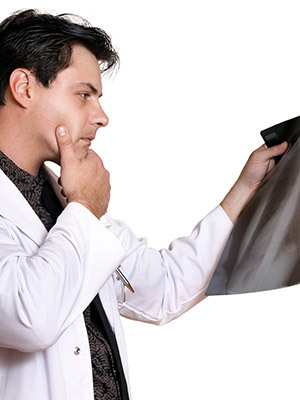 Don’t trust your medical imaging services to just business, but instead use the patient-centered services of Touchstone Imaging. 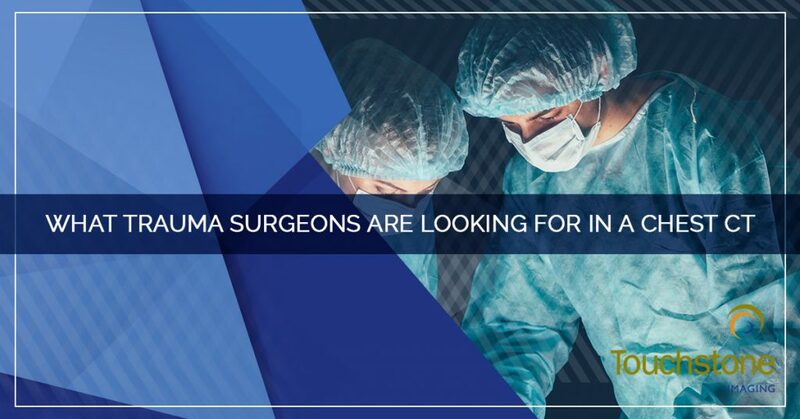 We believe in the notion that a machine is only as good as the person who is operating it, which is why we employ compassionate team members who are focused on your comfort and care. Follow along for exciting news on the innovations that are occurring in medical imaging technology! 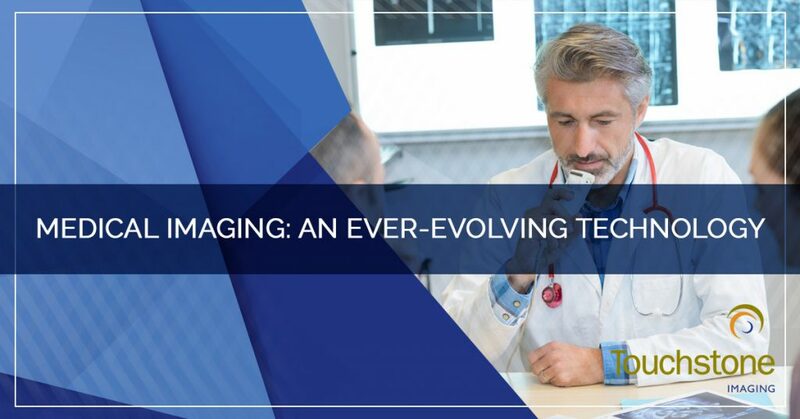 Important and evolving technologies are surfacing in the field of medical imaging are revolve around the machines processing speeds, the framework of 3D and 4D technologies, capturing specific images serendipitously, and workflow management. To create a high-quality image, better processing speeds are required and that is where gaming software has been developed in imaging technology. Graphical processing units (GPUs), like the ones used in gaming software, is being repurposed for faster processing speeds by computing algorithms and functions to construct images in less than six minutes. 3D and 4D imaging technologies have held space in the imaging field for quite a while now as they create better images for better diagnostics in medicine. These technologies already craft sharp images while increasing the contrast of soft-tissues. This technology is in the process of cleaning up clutter in the images in addition to correcting movement in patients. 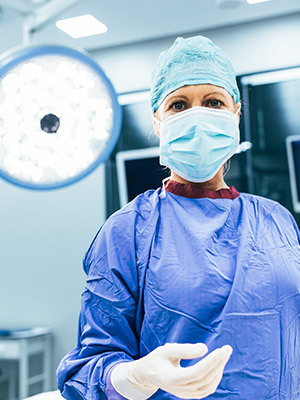 The real innovation may come when doctors and surgeons are able to create a 3D model of the patient and see and touch it before the operation for improved outcomes. Capturing an image in the right place at the right time is better for patient diagnostics and it’s considerably more cost-effective for patients. Medical imaging is well on its way to being in the right place at the right time for patients being bedside for a head scan. Portable medical imaging reduces transportation risks and allows prompt reactions to emergency care — no more waiting in line for CT scans or MRIs. Better technology for doctors, surgeons, and imaging technicians can vastly improve patient care. Currently, it can take an orthopedic surgeon five to six clicks to calculate a knee alignment. Technology is progressing so medical professionals can use fewer clicks or keystrokes when figuring patient care information. 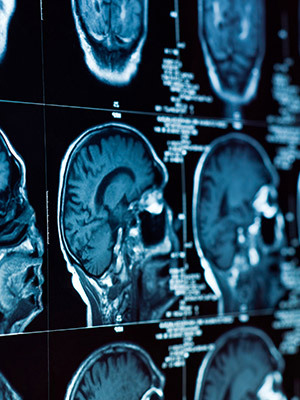 The future of medical imaging may not seem as bright and shiny as some medical breakthroughs, however, the implications it has for patients is life-changing. In time the field will be brimming with clearer images at faster processing speeds, 3D and 4D technologies that allow surgeons to tangibly replicate and explore a patient’s procedure before the actual surgery, better workflow management, and serendipitous imaging that is portable and allows doctors quick access and better emergency care. For premier medical imaging services, choose Touchstone Imaging. We focus on our patients to offer the best, most compassionate care. Contact us to schedule an appointment at a location near you. 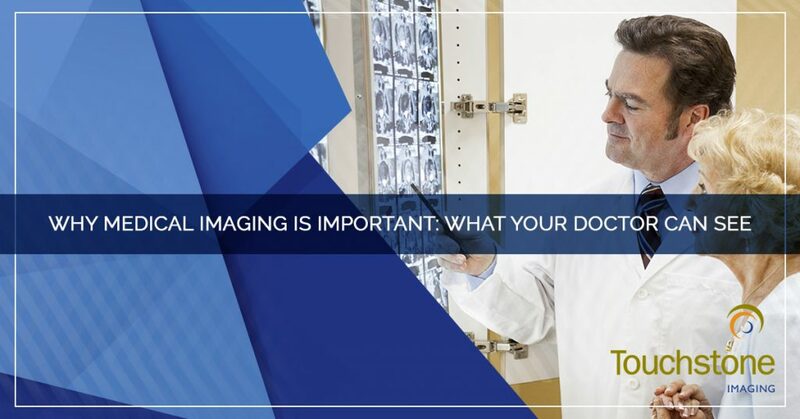 In the field of medical imaging we all have a basic understanding of what a CT scan and MRI are, but do you know why the tests are being ordered by your healthcare practitioner? In today’s post, we’ll delve into medical imaging diagnostics and why they’re performed, how they work, and the potential risks involved with each one.  If medical imaging such as an x-ray, MRI, or CT scan has been ordered for your health, Touchstone Imaging is the industry leader in medical imaging and we stand by our promise that a machine will only ever be as good as the person running it. We specialize in medical imaging, but it is our team members that make our services stand out. We commit to individualized care in a space that is comfortable and where the care is exceptional. 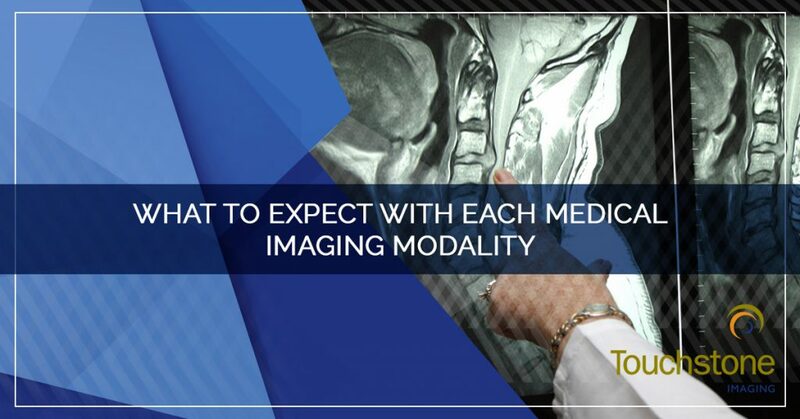 Follow today’s post as we explore the different medical imaging modalities. 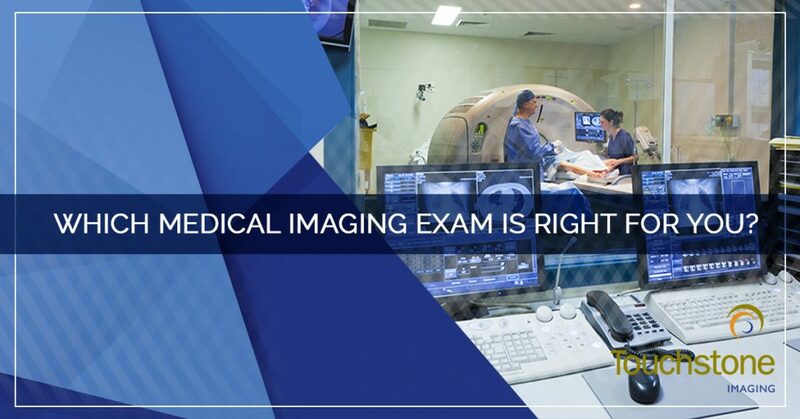 If a medical imaging test has been ordered and you are curious as to why, we’ll address basic diagnostic tests here to help assist in a better understanding. X-ray – An x-ray is used to diagnose dental concerns such as cavities and decay, broken bones, and lung concerns. They are also used to diagnose breast cancer (a mammogram is a specific type of x-ray), digestive issues, and heart failure. X-rays function by passing radiation through the body with the ability to form images of bones and dense structures. Soft structures will appear dark, while dense material will show up white for better detection. Some x-rays use dye mediums such as barium and iodine to make the organs more detectable. A small bit of radiation is emitted during an x-ray and allergic reactions are possible if someone ingests the contrast dye produces swelling, itching, and light-headedness. Computed Tomography (CT) – A CT scan is ordered and performed to help diagnose lung and bone health concerns such as pneumonia and fractures. They can also be employed to identify and monitor cancer. CT scans work by scanning your body at different angles and taking x-ray images at various points. 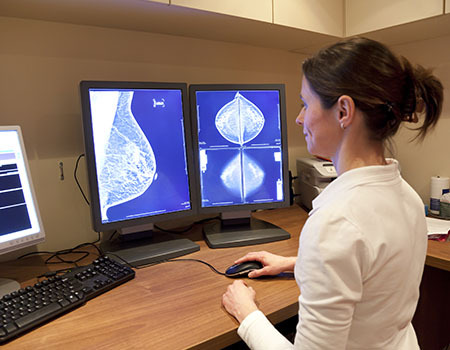 A computer then configures the images to provide a cross-sectional image. Because a CT scan involves multiple x-ray images, the radiation amount is greater than what you would receive in a standard x-ray. 4D CT – A 4D CT is an advanced CT scan that is more detailed and accurate that is better equipped to diagnose cancer, fractures, and lung issues. Like an x-ray and CT, it uses small amounts of radiation. 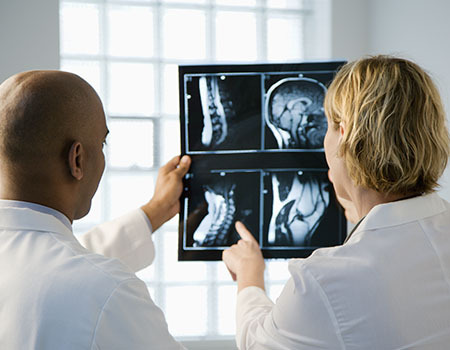 Magnetic Resonance Imaging (MRI) – An MRI assists in diagnosing a myriad of health issues such as multiple sclerosis, cancer, stroke, heart conditions, tumors, bone, and joint concerns. The imaging test works by using magnetic fields combined with a computer to create very detailed, cross-sectional pictures of tissues and organs in the body. An MRI is radiation-free but can impact electronics accessories such as a defibrillator or a pacemaker. They also have the ability to pull metal objects from your body, so removing piercings is imperative. Ultrasound – An ultrasound help evaluates lumps, fetuses and tumors, infection, cancer, and to assess blood flow throughout the body, and it functions by emitting high-frequency sound waves that allow an image of structures in your body to form. This imaging protocol is also radiation-free and imparts sound waves. Bone Density (DEXA) – A DEXA scan is used to detect bone loss and diagnose bone issues such as osteoporosis and fracture risks. This noninvasive imaging exposes s small portion of the bone to ionizing radiation that produces images that give a glimpse within the bones. Since the DEXA is an x-ray it does emit radiation, in a small amount. 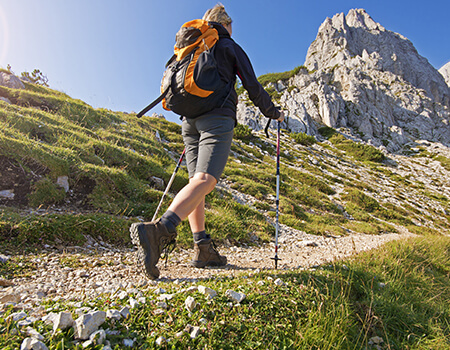 Arthrography – This type of diagnostic imaging is used to help diagnose unexplained pain and joint issues within the tendons, ligaments, and cartilage. The method can be direct with contrast being injected straight into the site or indirect and introduced into the bloodstream. This type of imaging is paired with a CT scan or MRI, so it can either have radiation (CT) or be radiation-free MRI). With a little background information on medical imaging techniques, you now can better understand why the procedure was ordered by your doctor, how it works, and the risks that are involved. 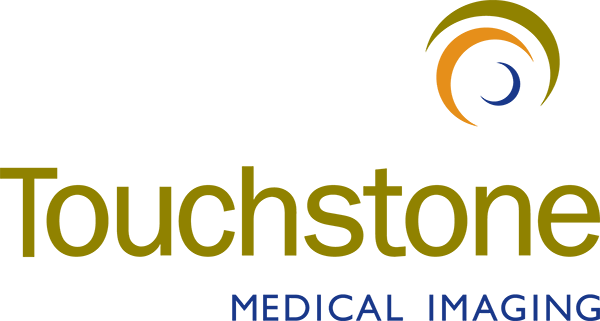 For the finest patient care from the little things such as scheduling and prompt services to comfortable scanning and accurate reports, Touchstone Imaging services support you with over 25 years of skilled and compassionate care. To schedule an appointment, contact us today!